Traktor Kontrol S2 Offer from February 1st – 31st March. For two months only, Native Instruments are offering a special deal on the Traktor Kontrol S2 allowing us to sell through at a special offer price of £329 saving £150 on our previous list price. The TRAKTOR KONTROL S2 has pro credentials throughout, the 2.1 design couples the most essential items for any DJ — 2 decks and a mixer — with controls for multi-effect units and a third channel for samples. Set it up in an instant and dive right into the mix. Rugged and highly portable, TRAKTOR KONTROL S2 is the only controller of its size to come with the full version of TRAKTOR PRO 2 included – the same software that pro DJs of all genres use. With TRAKTOR 2 Technology Inside, the S2 is tuned for maximum intuitiveness and creativity – resulting in an intensely fluid and fun mixing experience. 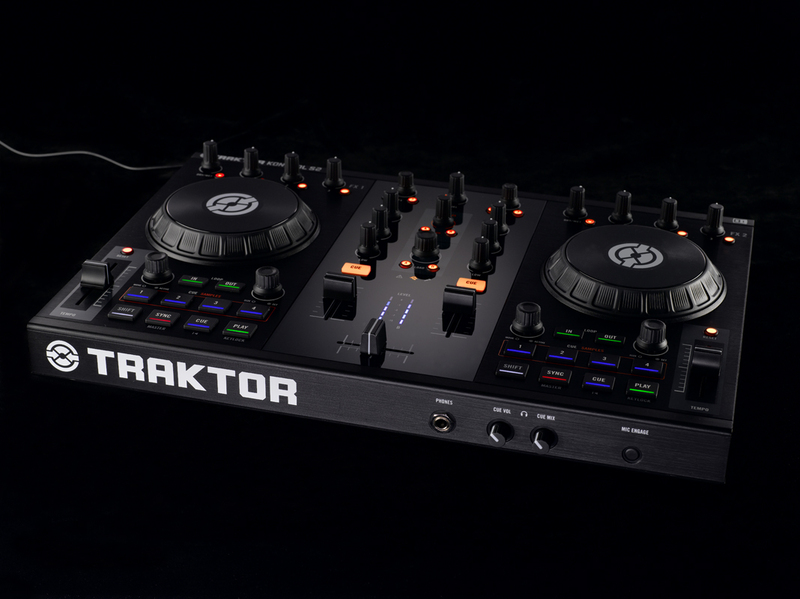 The included TRAKTOR PRO 2 is the culmination of 10 years of experience as the industry-leading DJ software platform. Its ease-of-use and astounding creative arsenal are built on the concept of TRAKTOR 2 Technology Inside. This compact and portable unit was built by the same team and with the same components that brought you the TRAKTOR KONTROL S4. Robust knobs and backlit buttons let you know what’s going on at all times and two high-quality, pressure-sensitive jog wheels deliver total track control and easy pitch bending and tempo nudging. TRAKTOR KONTROL S2 is the ideal hardware for new DJs who want to access the same great features used by the pros in an easily accessible and focused format. There’s no steep learning curve with the S2 – the perfect integration between hardware and software means everything is ready to go, so you can focus on selecting the hottest tracks from your hard drive or iTunes® library. Get deep into the powerful looping features, and use the four dedicated ‘hot-cue’ buttons to effortlessly remix and re-edit tunes on the fly – all perfectly in time. The Samples knob lets you mix the eight Sample Deck slots into your mix – either record loops from the playing track or use any of the included sound content and two flexible FX units give you access to 30 pro effects that automatically sync to tempo, so you can easily stamp your own style on the mix. Welcome to the future of DJing.